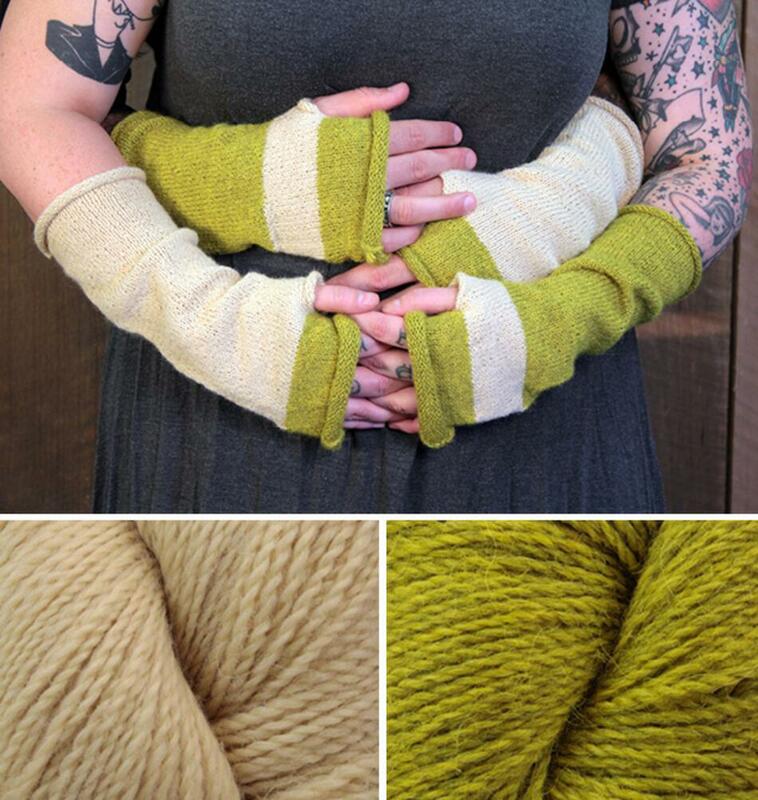 Make a pair of cute color blocked slouchy fingerless mitts in Herriot Fine, baby alpaca! Knit flat and sewn up the side for structure, this is a great project for advanced beginners or anyone looking for a fun and simple project. Kit includes two colors of Herriot Fine (230 yards each) and pattern. Related items: US 1 straight needles, US 3 straight needles, tapestry needle, stitch markers.